What can I say? 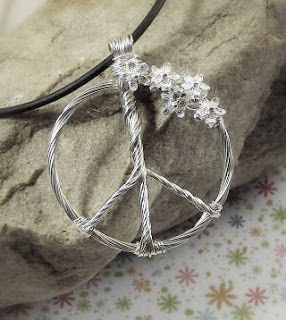 She gave the normal peace pendant a bit of softness with a little bouquet of silver flowers. She also suggested to use some colored beads for the design to make a spring bouquet of flowers. A design that I've longed to have, dedicated to World Peace.